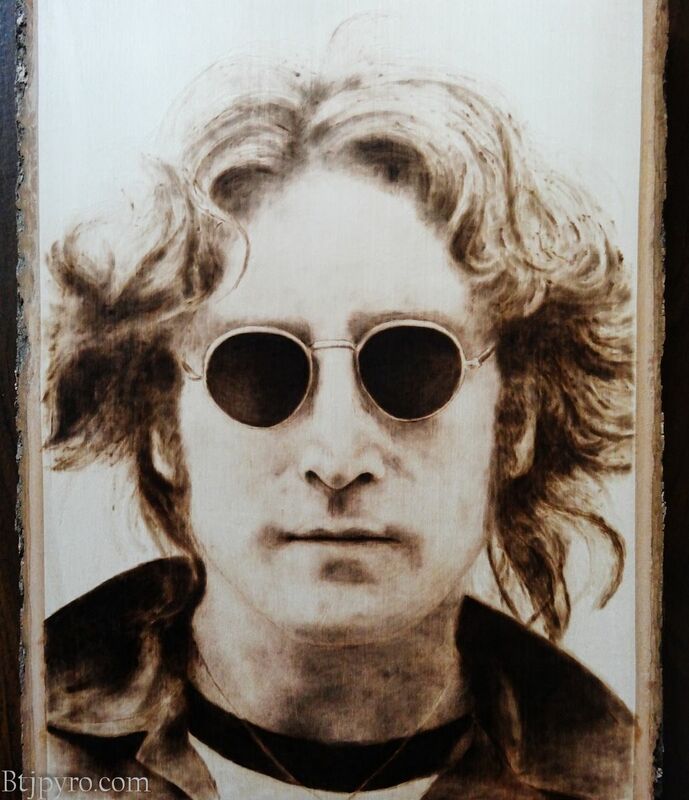 Woodburning of John Lennon. Based off of a picture. Created with the art of pyrography. Made on a basswood plank.